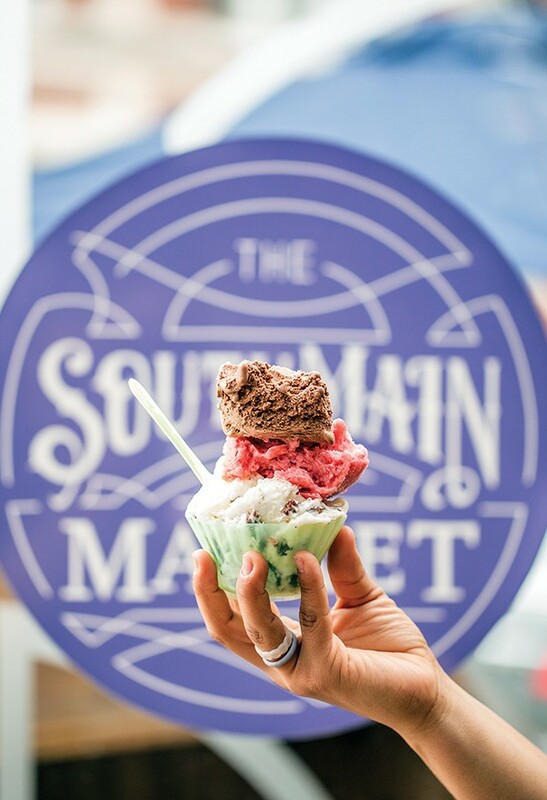 Hugh Balthrop, the owner of Sweet Magnolia Gelato Company, has a vision for his new production space. He'd like to have a commercial kitchen in the back, with retail up front. A glass wall would separate the front from the back, so customers would be able to see how the gelato gets made. "It'd be like an interactive experience," Balthrop says. Sweet Magnolia has to move from its current production space in Clarksdale, Mississippi. Balthrop has been considering new spaces in Clarksdale, Oxford, and Memphis. 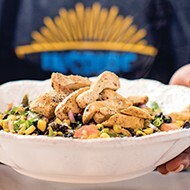 A North Mississippi spot would be good for his employees, Balthrop allows, and Oxford has a kitchen that is already FDA-approved. "This has been one of the most challenging decisions I've ever made in my life in terms of business," Balthrop says. He admits to feeling a pull from Memphis. 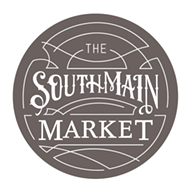 "We've been around for almost eight years, and we made our first retail partner in Memphis. It was Miss Cordelia's, and they gave us our first opportunity and then we got into Whole Foods and we're in a lot of restaurants [in Memphis]." 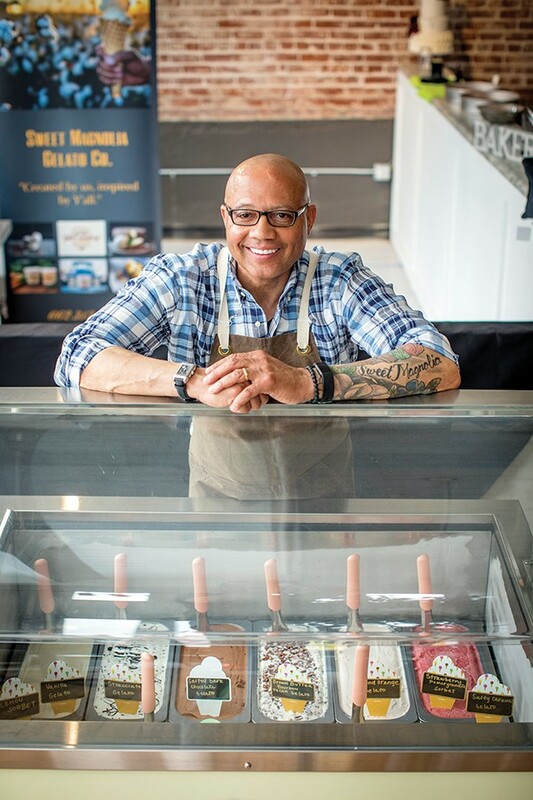 Balthrop likes Downtown and Midtown for options, and he's particularly keen on the Edge District, though he thinks that it would take two years to get production up and running, and he knows that gelato waits for no man. At 409, Sweet Magnolia has secured a spot at the window and there will be a floating bar there, so guests can check out the South Main flow. Balthrop ordered a special display cabinet from Italy that keeps the temperature gelato-appropriate. And, right now, Balthrop is hooking up with local farmers to secure the best, freshest ingredients. At the new store, Balthrop is planning to collaborate with Dee'Lightful Bliss, which already serves the gelato on its skillet cookie. There will be milkshakes and cookie sandwiches and pints to buy (think classics like strawberry cheesecake, brown sugar and bourbon, and honey vanilla) as well as Affagatos (gelato spiked with espresso). There will be JustWater for sale. (Will Smith's son Jaden is behind JustWater, which is sold in cartons rather than plastic bottles) and Shotwell and Phillip Ashley candies. There may be something cooking with Civil Pour. Ultimately, Balthrop hopes to franchise Sweet Magnolia some day. 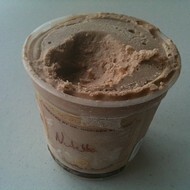 The gelato is currently available at about 100 places from Memphis to the Gulf Coast all the way to Atlanta. Dipsticle Artisan Gelato Cafe is located in Cordova at the Trinity Commons shopping center, near the Kroger and next to Cedars restaurant. It opened in 2017. New ownership took over in December. The first order of business for the new owner Katrina Younis: marketing. Younis studied business in college and applied what she learned. 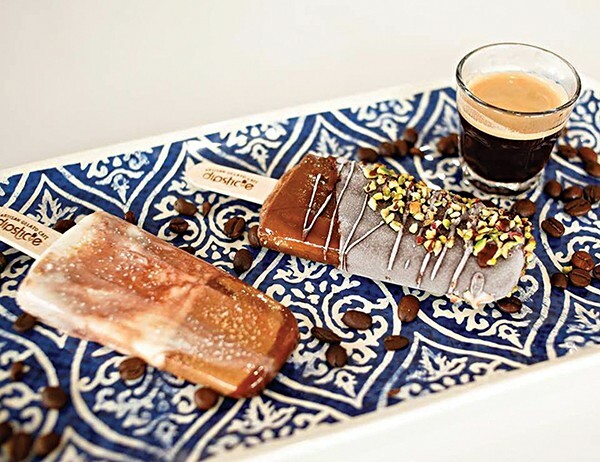 She took to social media, posting images on Instagram of Dipsticle's gelato on a stick (some dipped in chocolate, some not), along with some of happy customers. She went on Twitter and Facebook. She began actively pursuing events where her product fit. (One such event was the Grind City Coffee Expo.) Anything to get the Dipsticle brand out there. One thing Younis never considered was changing the name. "It's a fun name," she says, adding that it fits because of the option of having a chocolate-dipped pop. "We recommend dipping," she says. "It's absolutely delicious." Dipsticles offers around 25 flavors — cookies and cream, caramel coffee cake, pistachio, orange cream, mango and green apple sorbets. They also have assorted coffee drinks and milkshakes. Then there's the wafflsticle — a waffle on a stick. The waffles are red velvet, Belgian (regular), chocolate, and cinnamon. And, yep, it can also be dipped in chocolate. They look sort of like corndogs. 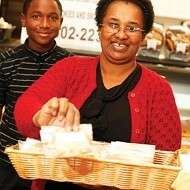 Younis says she had yearned to own a business, and the gelato biz seems ideal for her. She loves to experiment in the kitchen, and she has a pretty big sweet tooth. "It's been crazy busy," she says, "but so much fun."